I don’t know about you, but this has been one whirlwind of a week for me! Lots of exciting projects in the works that I can’t wait to share with you… but first, a recap of my week through instagram! On Tuesday I received my new baby in the mail (aka the killer cobalt Proenza Schouler clutch in the top left photo). The shade is shocking but beautiful and I absolutely cannot wait to wear it. Buy one for yourself here. The photo below that features the ensemble I wore that day – love my new Zara printed pants. They’re like pajamas! 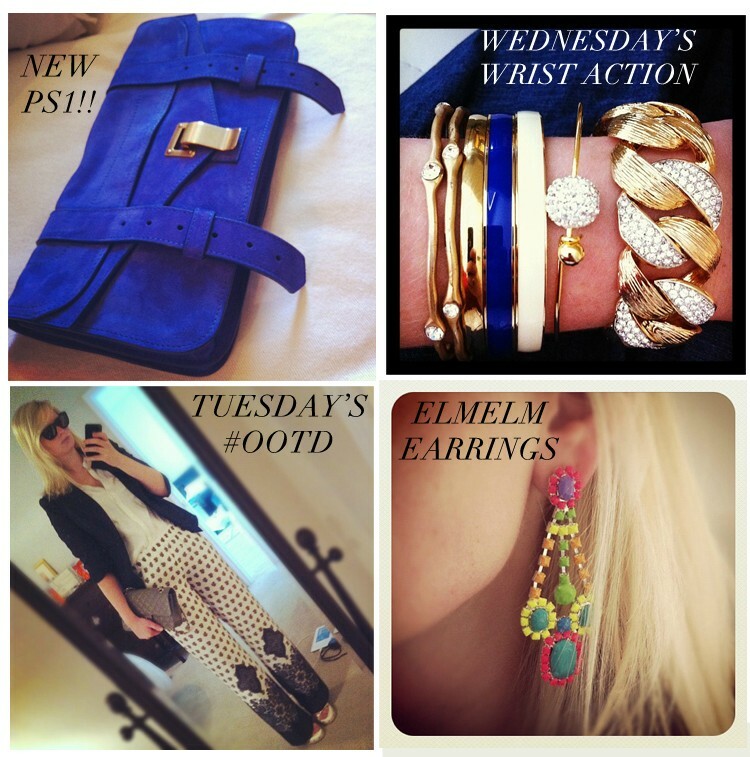 I’ve been loving my earrings from ELMELM – they are perfectly bright and fun for hot summer days. PLUS ELMELM has an entirely new selection of amazing necklaces that you definitely need to check out.